Even though we advertise for small group adventure travel with 2 to 6 people, we do welcome larger groups on our active and relaxed adventure tours. *Many of our online advertised tour packages can accommodate more than 6 travelers. With larger groups, we use passenger vans or modern coach tour buses for traveling. 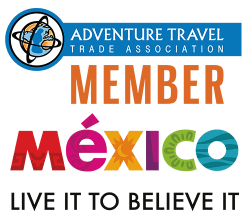 If you would like to schedule one of our *Advertised Vacation Trip Itineraries listed here on our website but have a larger group size that exceeds the maximum number of people stated in the trip details, please contact us and we can help you set up the trip. To help you get started on a customized trip, please fill out our Inquiry Form and submit it to us. We will then contact you to get started on crafting a memorable trip for your group.